and Publish static web pages. Social Media and many more to help you build your website. Restaurants, Travel and many more!! and look can be customized from the Website Editor. SitePad makes it easy for you. static web pages (HTML, CSS, JS) to your domain with just one click. Build Professional websites using an Easy to Use Editor and Publish static web pages. 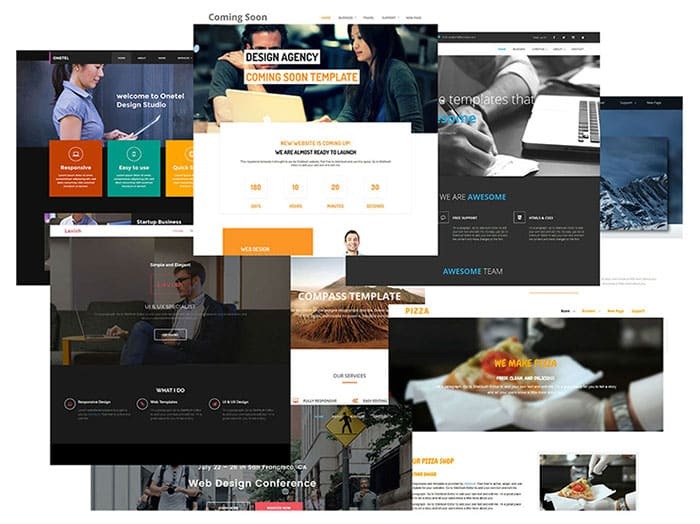 Over 350 Responsive Themes which cover a wide range of categories like Blog, Business, Portfolio, Restaurants, Travel and many more. One Click Publish – Just pick a theme, customize the content add images, audio, videos and click Publish. 354 Themes – 354 Ready to Use themes to use as a base to start building your website. 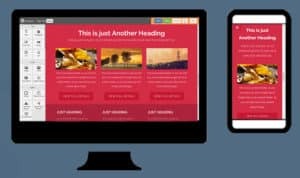 40+ Widgets – Easy to use Image/Video Slider, Image Galleries, Rich Text, Video, Audio, Service Box, Google Maps and more. Static Pages – SitePad publishes static web pages (HTML, CSS, JS) to your domain so your site performs faster. Responsive – Websites created by SitePad are responsive and compatible with all screen sizes. Social Media – Add links to your social media pages like Facebook, Twitter, LinkedIn, YouTube & many more. Customize Menu – Add, Edit and Delete menu items and sub-items. Blog – Create a blog to publish new posts to your website regularly. Media – Add images, audio and videos to your site and blog using the drag and drop interface. Easy to Use – Simple Drag and Drop Interface to create beautiful websites without any technical knowledge. Multiple Sites – Create multiple sites each having different themes, appearances and content. Title – Add a Title to your page to highlight your heading. Rich Text – Use Rich Text to add formatting to your content such as bold, italics, underlining, media & much more. Quote – Write your favorite quotes, defining you and give the authors name. List – Create ordered, unordered or custom list of items by using the List widget. Icons – Add icons to your content from a wide range of Glyph icons and Font Awesome. Images – Use images to add visual/aesthetic appeal to your website. Image Slider – Add image sliders to your website to make it look more dynamic and lively. Grid Gallery – A grid gallery is the best way to showcase your images/portfolio. Buttons – Add button(s) to your website that users can click to lead them to appropriate destination from your site. Social Share Buttons – Social Share buttons allow users to share your content on their social media pages. Audio – Add audio to enliven and enrich your work, adding multi-media variety to your site. Video – Add a Video to showcase a visual description of your product/company. Service Box – Use Service Box to add Image, Heading, Description and Button within a content area. Tables – A structured area to show all your related contents in rows and columns. Call to Action – Solicit an action from the user by using call to action widget. Want to make a blogging site or website for your Business or Restaurant, we have themes to cater all your needs by covering wide range of categories like Blog, Business, Portfolio, Restaurants, Travel and many more!! All the Themes are Responsive, styles and look can be customized from the Website Editor. No more uploading files to your server manually, SitePad makes it easy for you. Build your website using SitePad editor and then Publish static web pages (HTML, CSS, JS) to your domain with just one click.